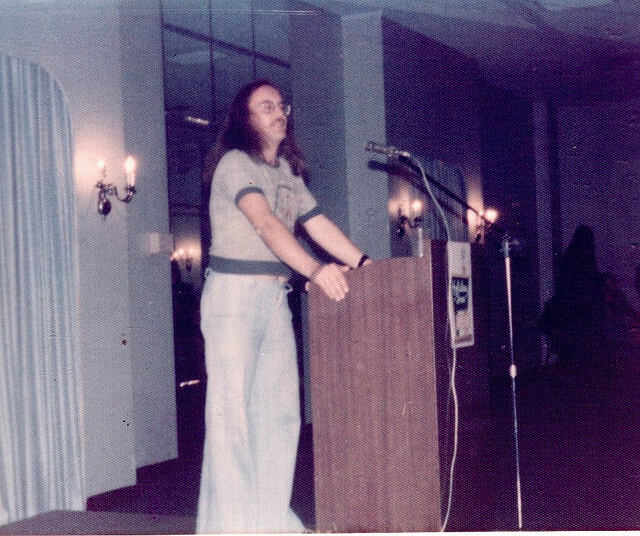 I attended the First World Fantasy Convention in 1975 in Providence, Rhode Island, where I took the following pictures. They were starting to fade badly, so I decided to scan them, tweak them a bit, and post them here, where they may be of historical interest. 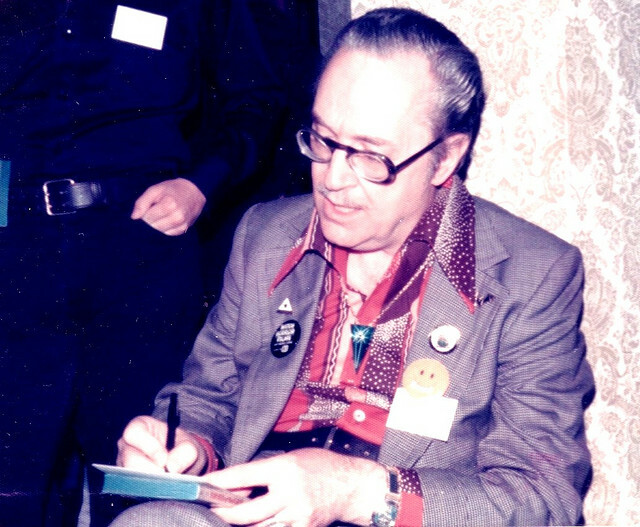 The theme of the convention was “The Lovecraft Circle.” Quite a few noteworthy speakers attended, including Lin Carter and L. Sprague de Camp, two of heroic fantasy’s greatest popularizers. Robert Bloch, who started corresponding with Lovecraft when he was in his teens, is famous for the novel Psycho. 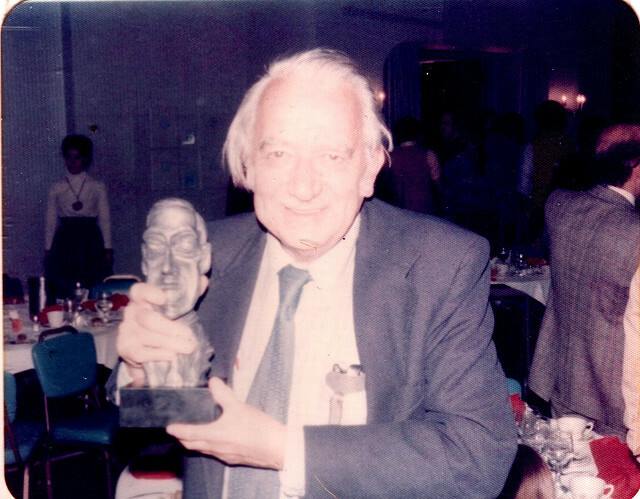 Like many of Lovecraft’s friends and Weird Tales contributors, Bloch extended and expanded the Cthulhu Mythos in his own works. 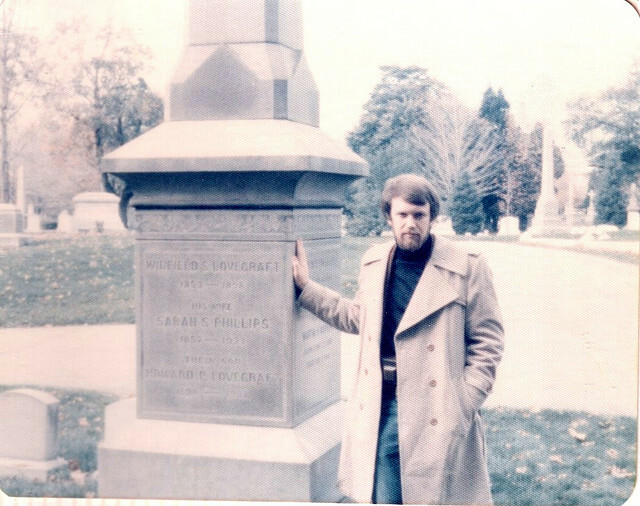 According to this 1975 Hour article, the three-day convention began on Halloween, and 400 people were expected to attend. The Sarasota Herald-Tribune has the figure at 500. 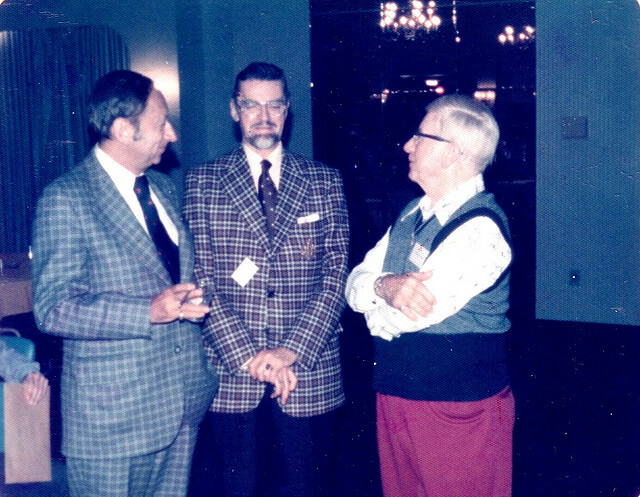 The World Fantasy Convention was modeled after the World Science Fiction Convention (Worldcon), first established in 1939. Both conventions are still going, with focus on intelligent conversation at the expense of dressing up like comic book characters. More pictures—including a young Jeff Jones—at the first link. 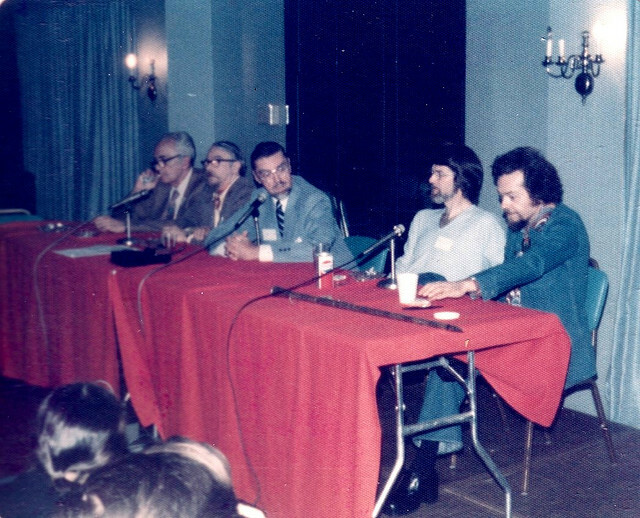 You can hear audio of some of the panels at archive.org. The clothing. My god, the clothing. 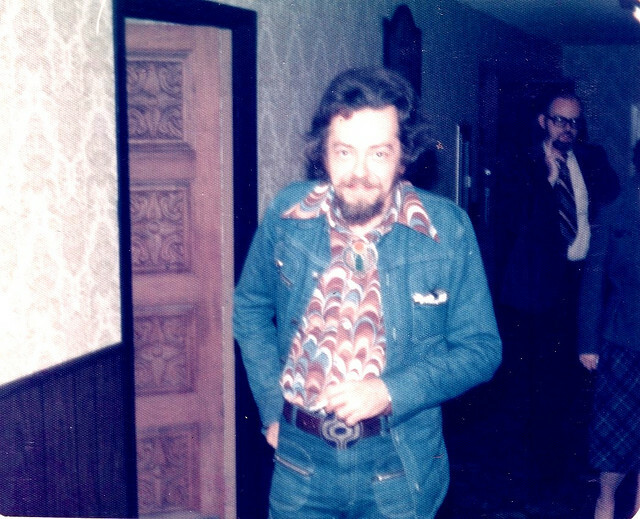 Lin Carter’s denim suit is incredible.